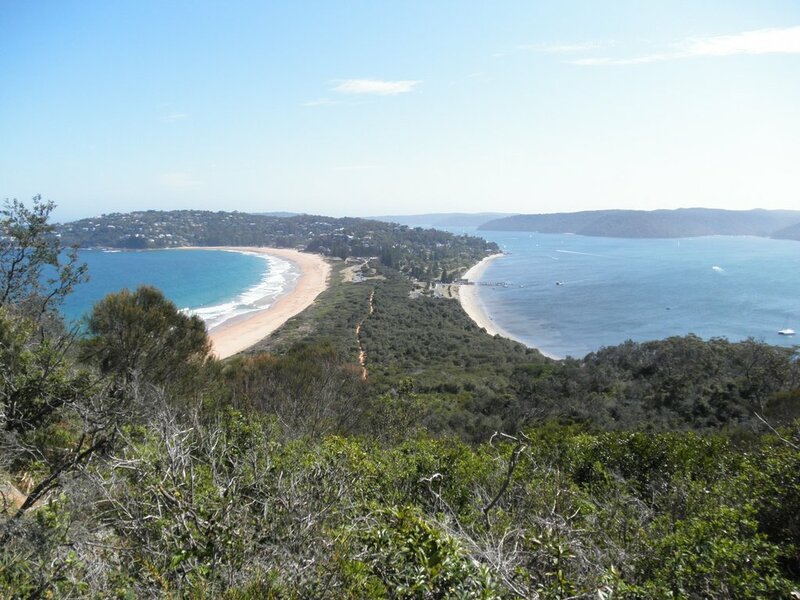 A first-rate drive added by Troy Barberis it's in North Narrabeen, New South Wales, Australia. 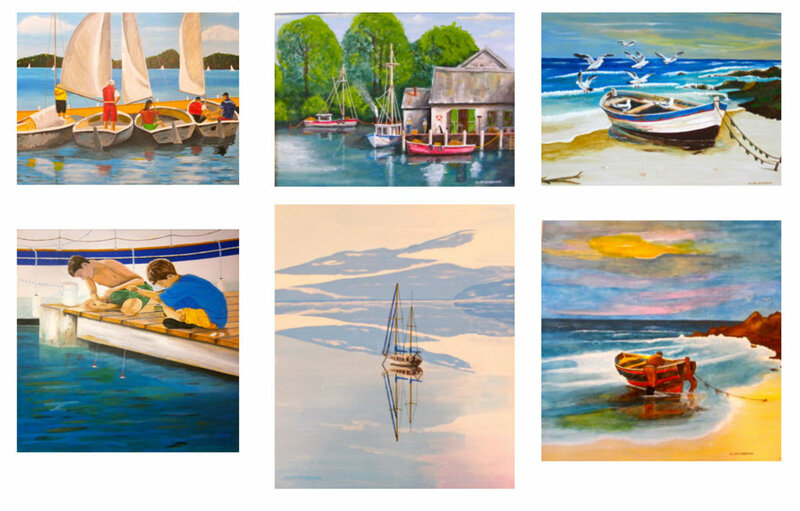 This Art Trail will take you to a fabulous collection of Pittwater artists. Of course you don’t have to visit them all, just pick the ones you’re interested in. This trail will be open next on September 3rd and 4th 2016. 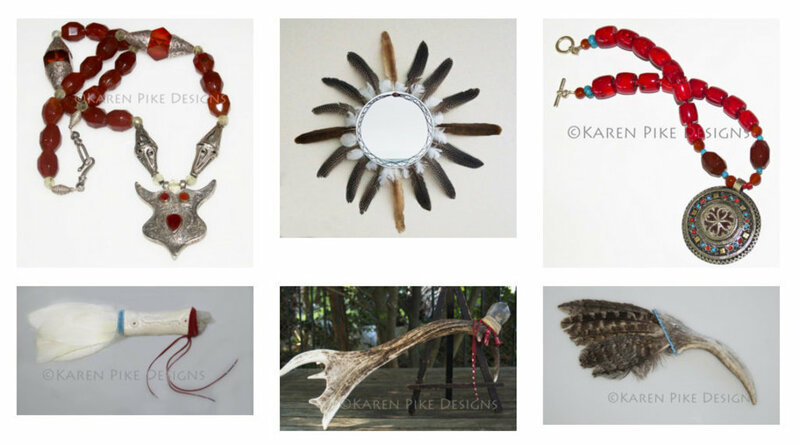 Karen Pike - Jewellery, Ritual Objects, Paintings. Each of my pieces is individually crafted, made with great love and attention to its beauty and energetic nuances and is as absolutely original and unique as the person who will own it, each tool is imbued with sacred power. Penel Bigg - Flameworked glass sculptures, jewellery. Penel melts rods of glass in the flame of a large burner and then uses heat and gravity and a few special tools to create all manner of lovely things. From beads that will be made up into gorgeous jewellery, to intricately patterned perfume bottles, to fantastical creatures, every day in the studio is an adventure. Roberta Landers - Woodblock print textiles, gouache artworks. I design and make hand block printed noren and stretched linen as well as paint images in gouache and/or ink. I also create, embellish and decorate boxes, cards and other ephemera. 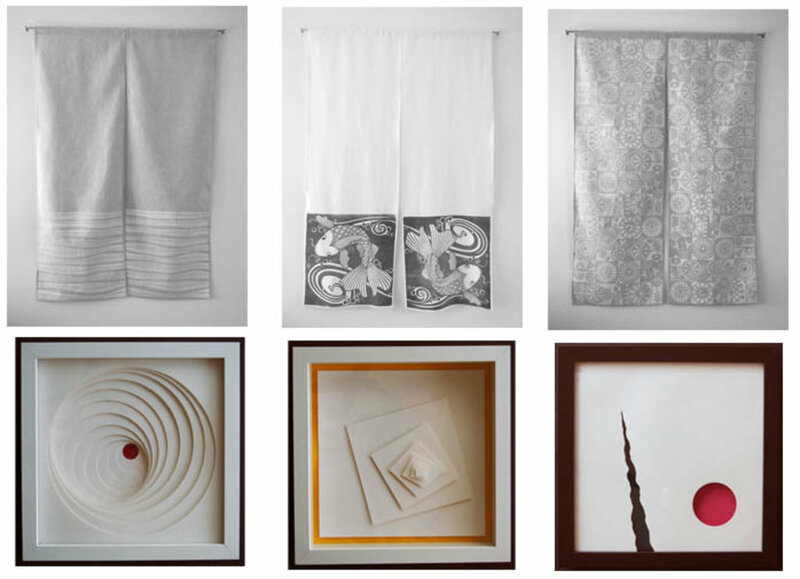 Martin Wale - Paper art, designs, sculptures, prints. Paper is endlessly versatile and captivating. In my works I try to continue my exploration of the many facets of the paper universe, whilst simultaneously pondering and playing with my curiosity about complexity and emptiness, form and function, texture and colour, light and shadow, geometry and measure, balance and harmony, beauty and the simple joy of being. Pamela Pauline - Fine art photography. Big dramatic skies often feature in my work, something we have an abundance of on the Northern Beaches. I have exhibited in India, the USA and Australia, most recently at Juniper Hall in Paddington where I was offered as solo exhibition as a Moran Contemporary Photographic Prize Finalist. Vicki Ratcliff - Paintings, watercolours and oils. 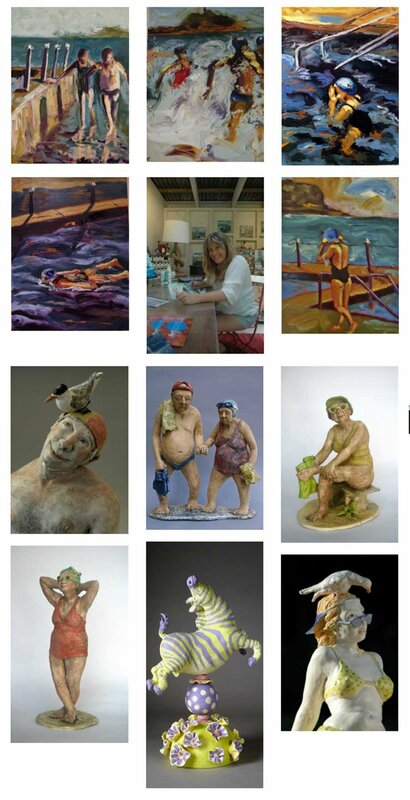 My work reflects a love of my local rock pool and the wonderful characters that share each morning with me. I am inspired by the warmth and strength of each of them, their love of life, camaraderie and their age defying beauty. Mixed media paintings. Allen enjoys working with acrylics, watercolours, pencils and inks and has recently introduced a palette knife into his art works, creating a more abstract form. Paintings, archival prints. Her work is a hybrid of printmaking and painting with a distinctive graphic quality. 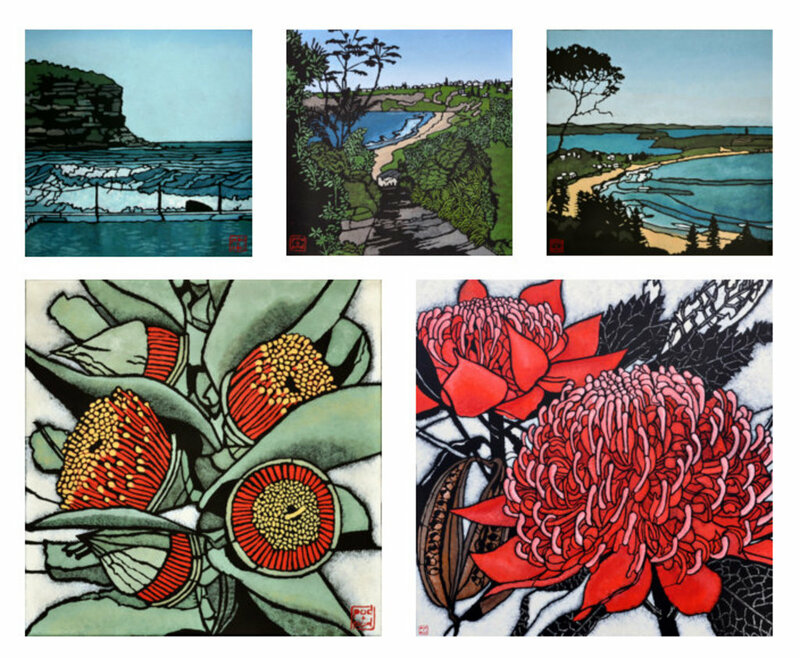 Her subjects feature Australian botanicals, coastal and kitchen scenes and the canvas sizes vary from small to large. Paintings. Having spent 20 years as a florist I am still fascinated with flowers, their variety, beauty and vast array of colours, complexities, textures and structures, a bloom can give so much pleasure. Claire Armstrong Paintings. 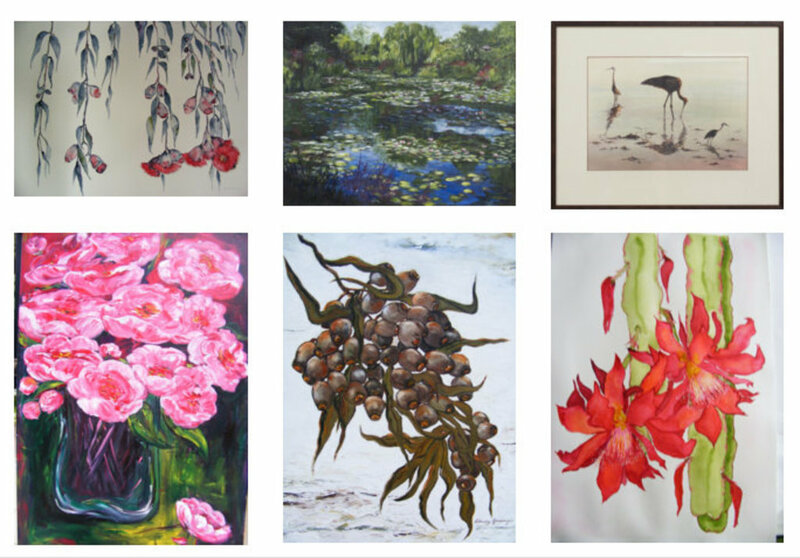 Her current works show a passion for the environment in oils or acrylic on wood and canvas. My art allows me an outlet for my passionately held beliefs and connects me deeply with this country that I love. Evan Armstrong Paintings, drawings, illustrations. His work is highly detailed and pulsating, it reflects his passion for nature that developed when working as a zoo keeper in his early years. Fine jewellery. I am most happy in my workshop creating one off pieces. I have managed to organise my work so that I spend my day doing something that I love. I enjoy the process of working with my clients helping bring to life an idea they have the seeds of. Cindy Goode Paintings. 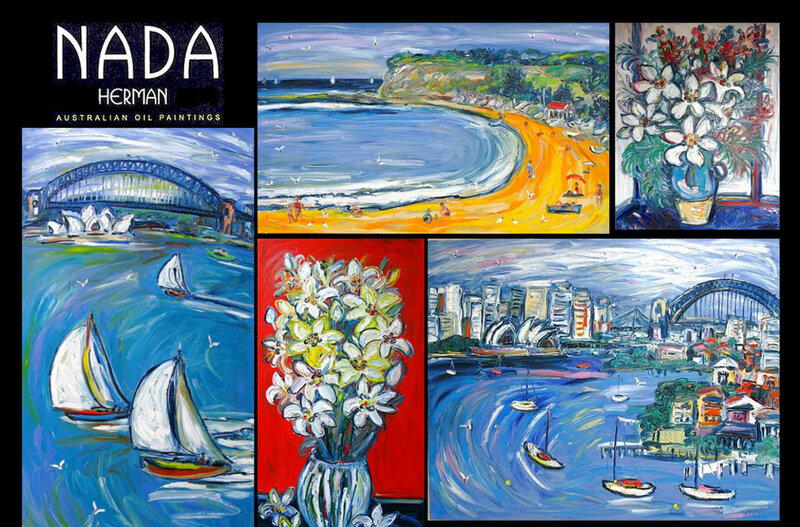 For 2016 her signature 40 x 30 oil on board works of ocean pools and swimmers remain but are also accompanied by 20 x 20 postcard like vignettes the breatheless and breezy beauty of Pittwater. Michele Petrie Ceramic sculpture. 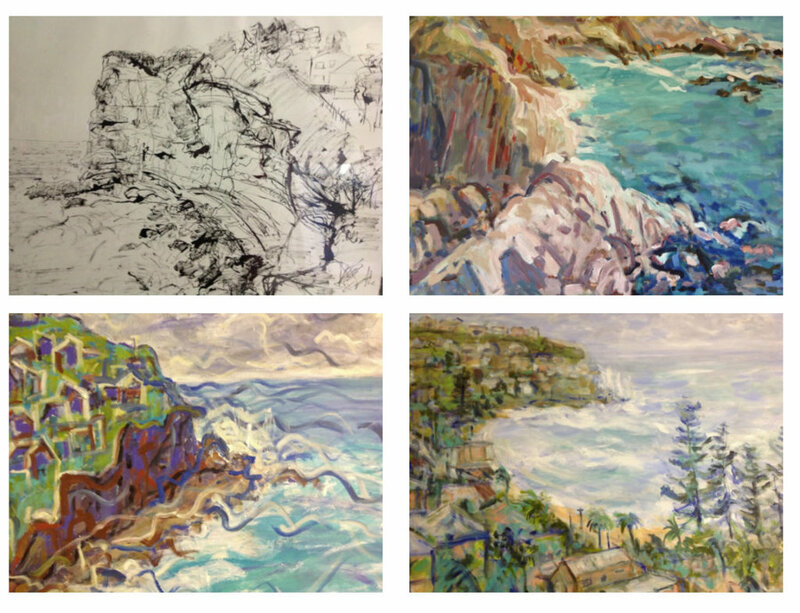 The spirit of the Northern Beaches influences her life and her work both physically and emotionally. She tries to encompass this spirit in her work with reference to the whimsy, playfulness and the colour it brings to our lives. Jacqui Giuliano Paintings. A desire to express the essence of nature is depicted clearly in her landscape works, which are abstract, personal and impressionistic. 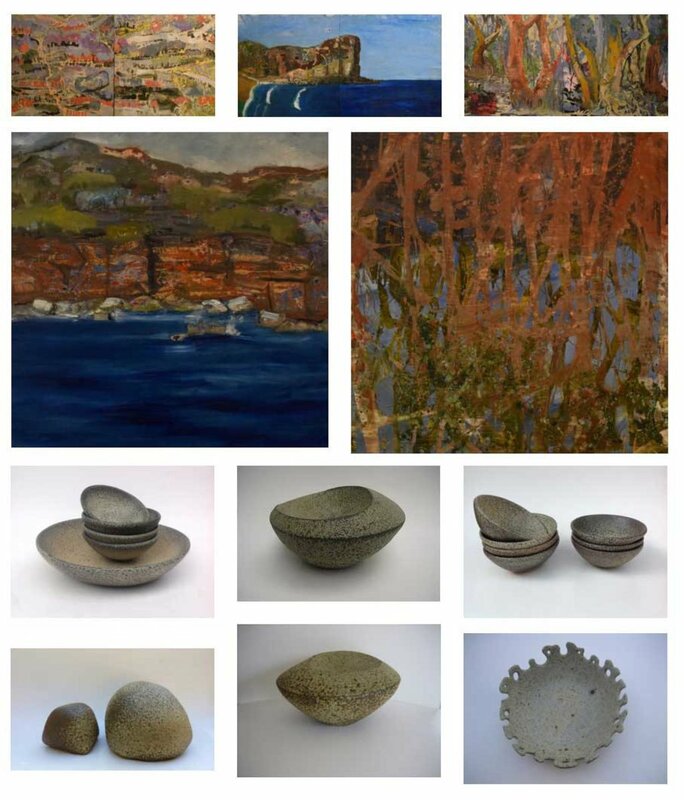 Her works are a fusion of paint, wax and collage using various media to capture the richness of Pittwater. Sasa Scheiner Ceramics. My work has pure sensual shaped forms inspired by the sea and rock forms. They have an entirely unique surface resulting from years of technical research using various aggregates and ash glazes. The shapes and surfaces invite the viewer to engage in a tactile response. 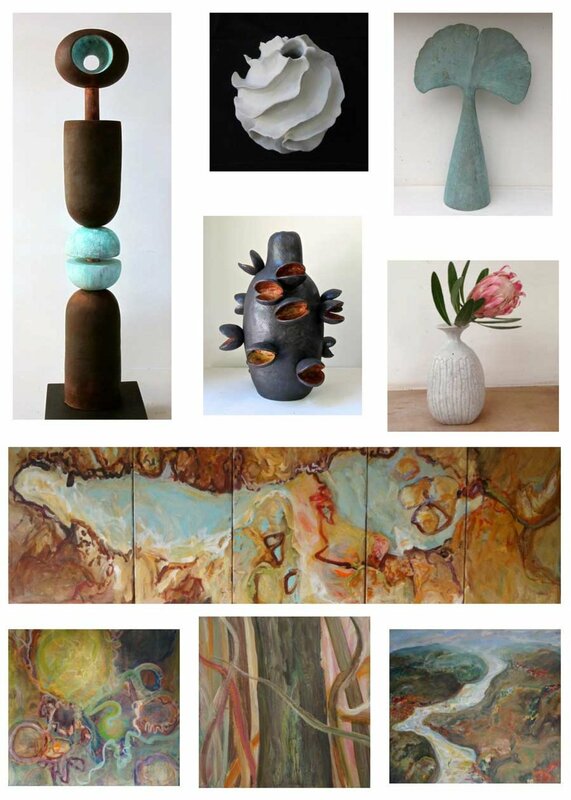 Paintings, ceramics. Coco Elder focuses on either the macro or micro perspective, often zooming in on botanical forms, or vistas of escarpments, to reveal a journey of geological formations and flora, via details that deal with the intricate texture and essence of place. By using an engraving tool to incise into her oil paints, the raw board or primed surface is revealed as a rhythmical contrast. Paintings. 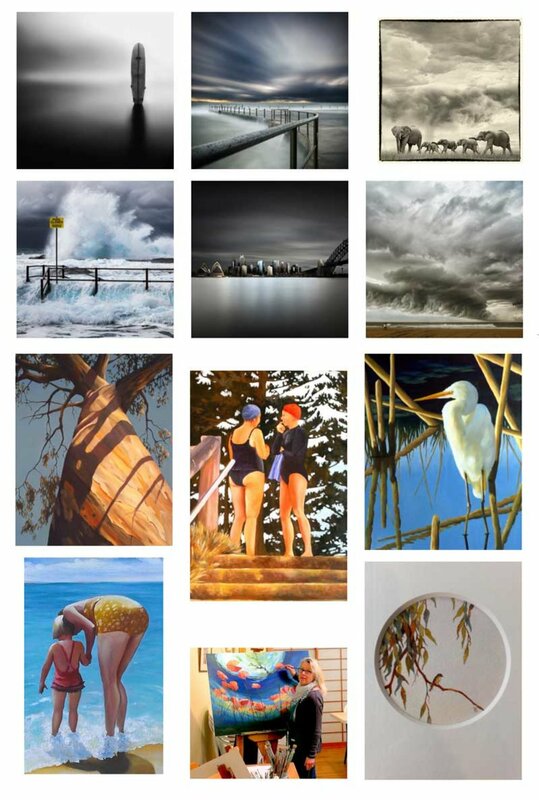 Her work has been collected by admirers throughout Australia as well as the world. The thick application of vibrant coloured oil paint creates bold energetic paintings. 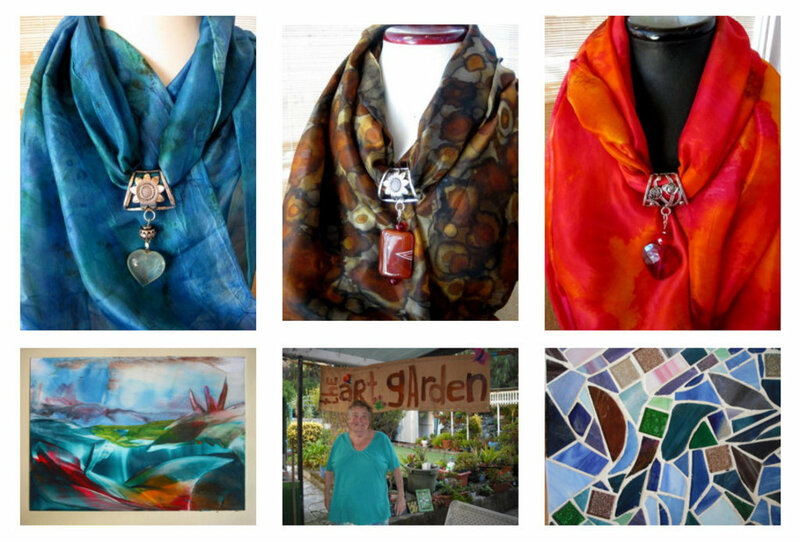 Silk painting, encaustic, mosaics. I discovered the vibrant colours and interesting patterns of silk painting, and love to share the adventures of silk painting with people in my art garden at Clareville. Katarina Wells Ceramics. For many of her outdoor sculptures Katarina uses iron and copper finishes, relishing the rich patinas that develop when exposed to the elements. 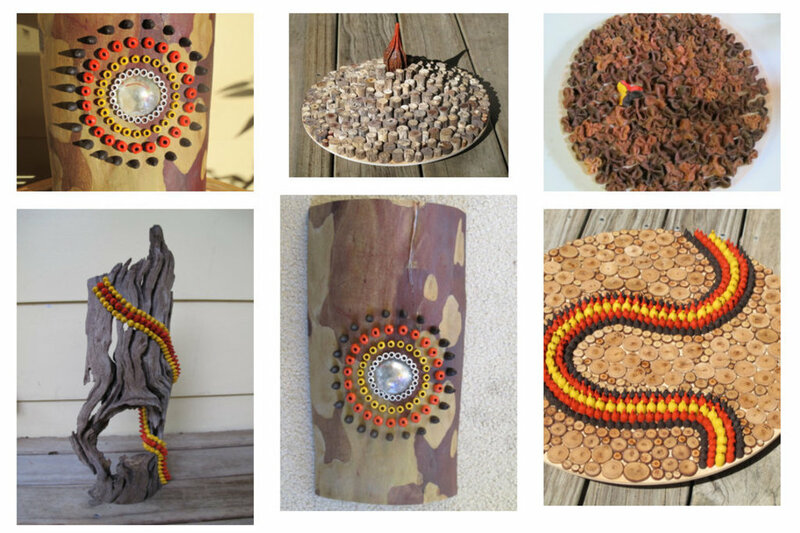 Inspiration is found in the natural world - the colours and textures of rocks, seedpods, wasp’s nests or shark eggs found on the beach. Elfriede Bartnitzky Paintings. Elfriede’s canvases are characterised by strong form and colour laid down in blocks over a textured background. 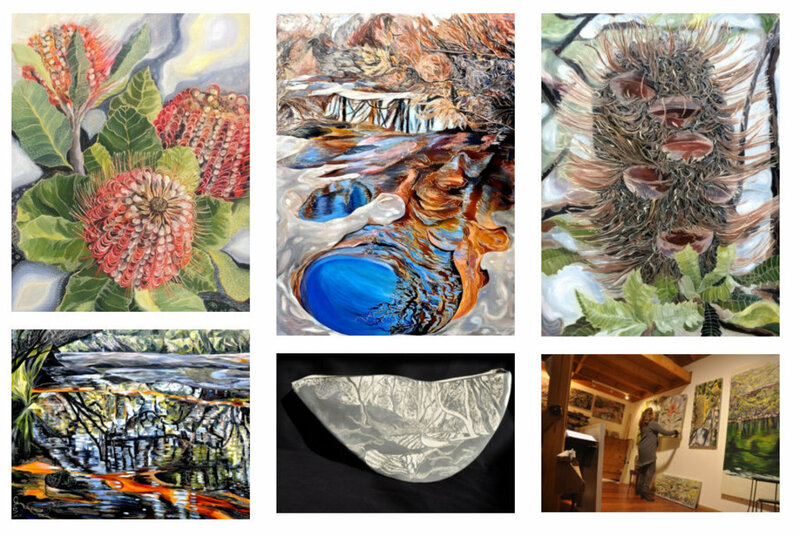 It is her personal voyage to unlock the beauty of the Australian landscape which is reflected in most of her work. 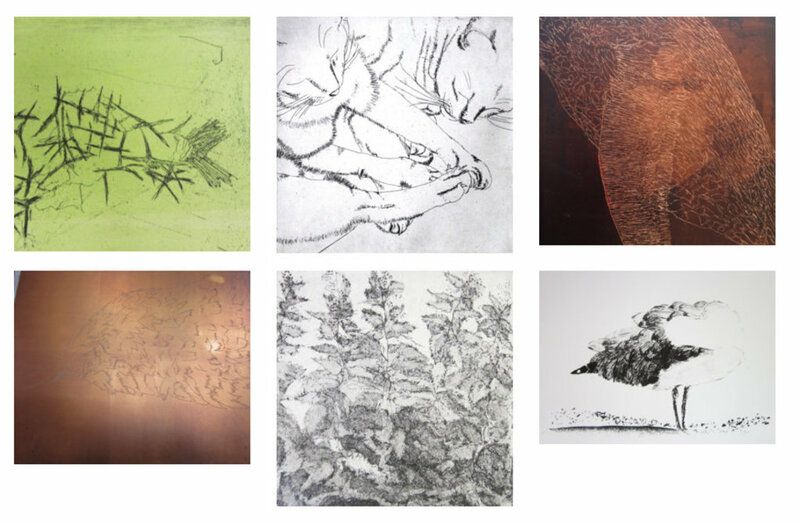 Lithographs, etchings, linocuts, paintings. I have focused on the natural world and the fragility of the environment where I live, in Avalon. I have a small domestic life and I look at the animals and objects that resonate with me. 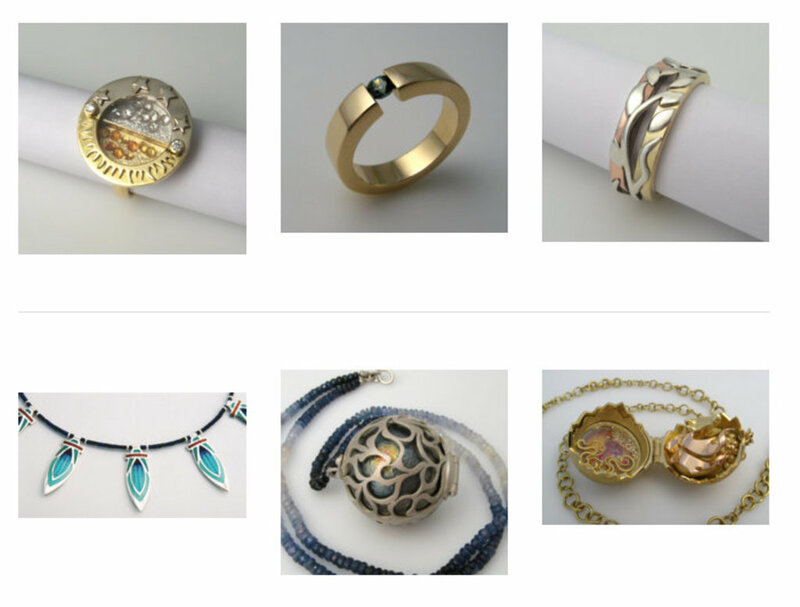 Botanical sculpture and jewellery. Geoff uses only the spent fruits and pods, mostly of the local native trees, (plus a few from interstate). These are ‘grafted’ onto bases - segments of trunks like banksia, which possess in themselves, sculptural qualities. Paintings, drawings, prints, photography. I am an enthusiastic artist who responds to visual or auditory stimulation by creating an artwork; a drawing, painting, photograph or video to make the experience part of me. 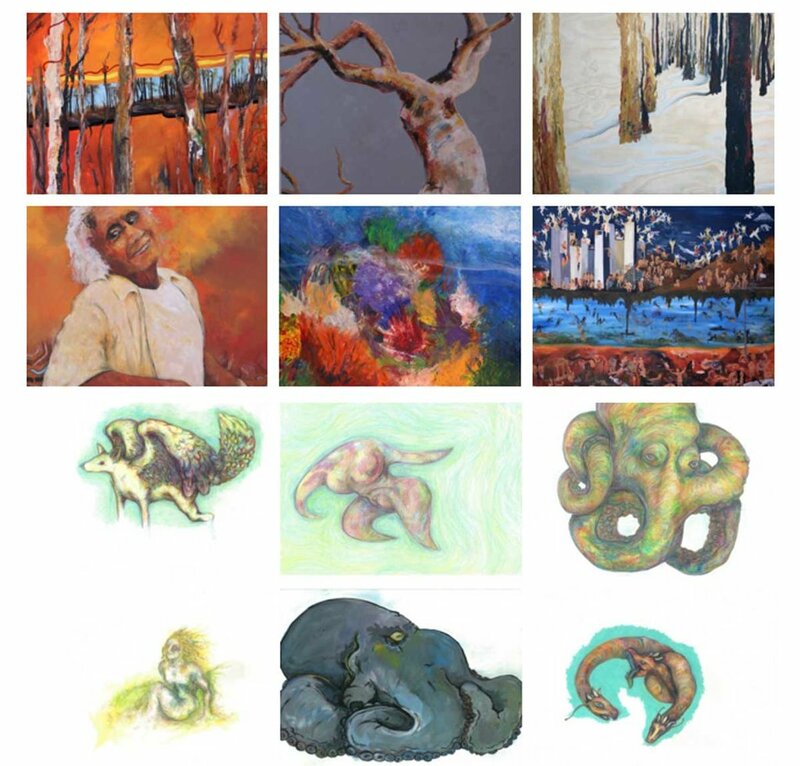 The Art Trail you download may have audio or video commentaries, text and images not available on this webpage snapshot. And of course the TourGuide App will show your location in relation to the Trail and Art places.